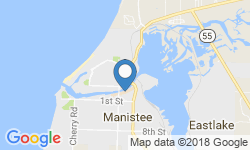 Slipknot Charters invites you to join them for an adventure out of Manistee, Michigan. Captain Lenny, who is the owner and operator of the company, knows the area very well. 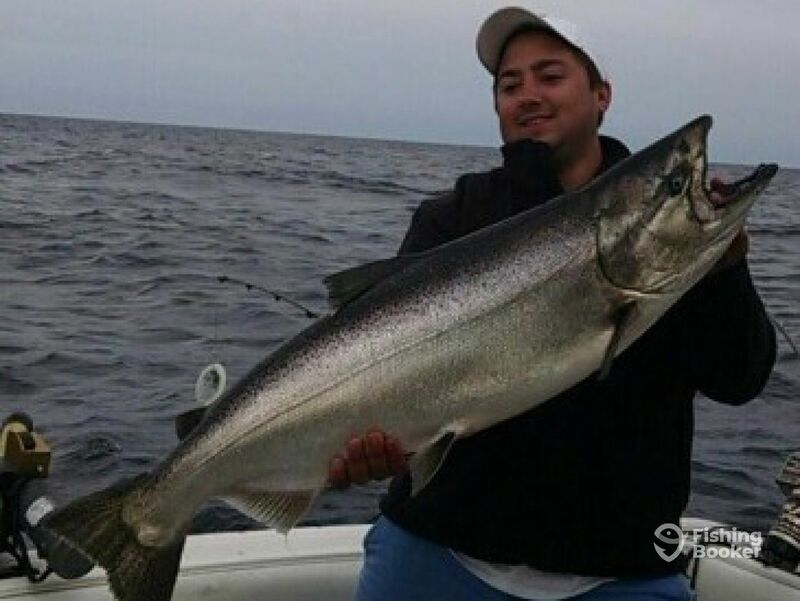 The Manistee waters are widely known for one of the best catch rate for King Salmon in all the USA. Take a ride with Captain Lenny, and he will lead you to the best spots where the fish are hiding! 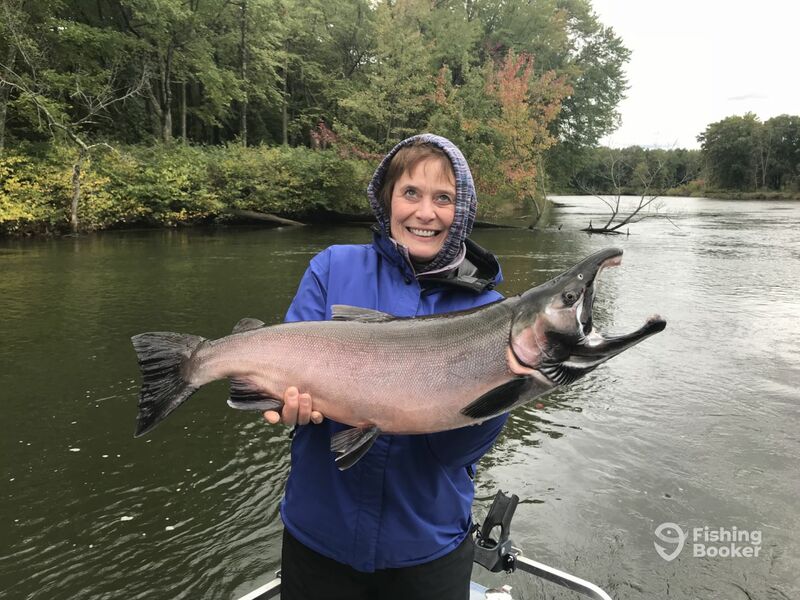 Enjoy your fishing trip with Slipknot Charters aboard a spacious 28 ft. Baha cruiser GLE boat, which comes powered by a 310 HP Volvo Penta 5.7L engine. The vessel has a maximum cruising speed of 30 knots and can comfortably take up to six guests. Captain Lenny has a perfect command of his navigational electronics, which include a GPS, a VHF radio, a radar, and a fish finder. The boat is wheelchair accessible and is equipped with downriggers. As well as that, it also features a toilet on board for your maximum comfort when spending your day on the water. 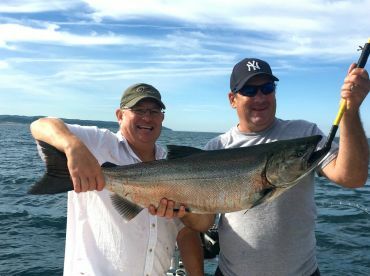 On your day out with Captain Lenny and Slipknot Charters, you will be trolling for Steelhead, Salmon, and Lake Trout. 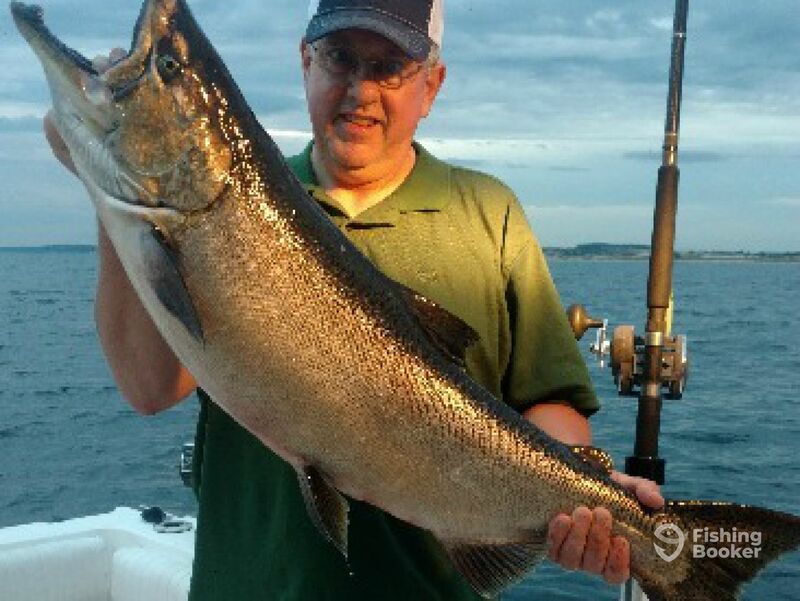 Your fishing trip with Slipknot Charters will include your rods, reels, tackle, live bait, and lures. 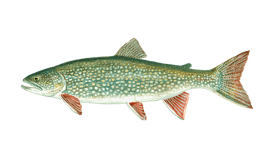 Your catch can be cleaned and filleted for you to take home and fill the freezer. Slipknot Charters and Captain Lenny take pride in 90% of repeat customers. Take a ride with them and you will want to come back for more! This exciting 8-hour trip will see you fishing for Steelhead, Salmon, and Lake Trout, and you'll be focusing on trolling. All you need to bring is a cooler for your fish. The Captain will clean and bag the catch after you return to the dock. This trip runs from 5 am to 11 am. 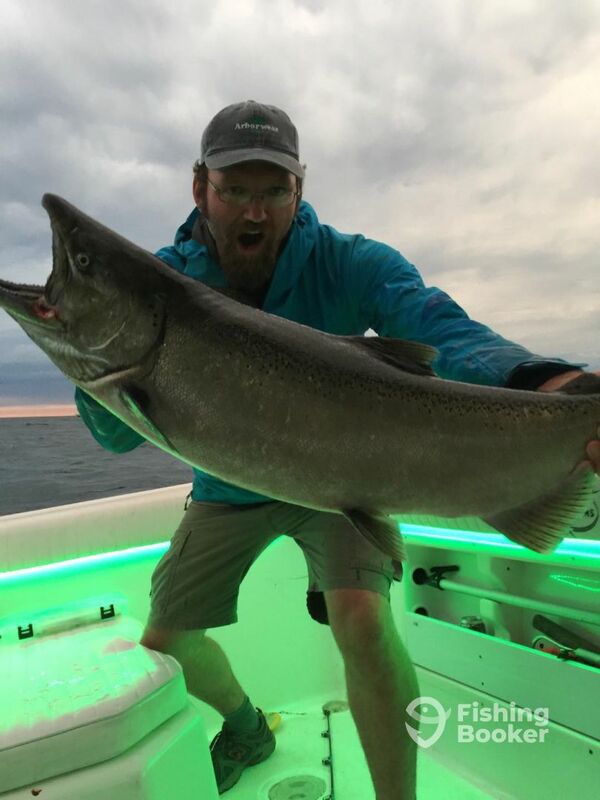 The captain will do everything he can to put you on the biggest King Salmon, Steelhead, and Lake Trout. Get ready for 6 amazing hours of trolling! This trip is from 3:30 pm to 10 pm. 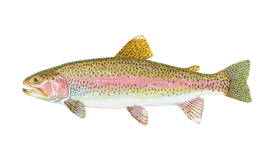 You'll get to sleep in and go fishing well rested. 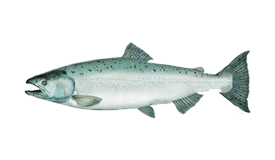 You'll be trolling for Chinook Salmon, Steelhead, and Lake Trout for 6 hours in the afternoon. Baha cruiser GLE (Convertible) originally built in 2004. Powered by a 310HP Volvo Penta 5.7L engine, with a maximum cruising speed of 30 knots. 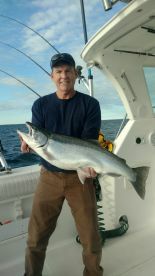 Captain Lenny Vaughan is an avid angler with thousands of hours of experience on the water. 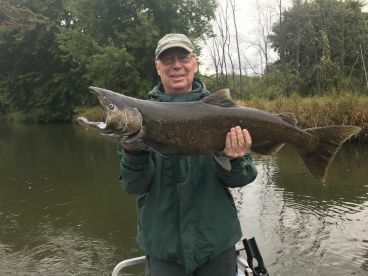 He is passionate about fishing and putting his friends and guests on fish. 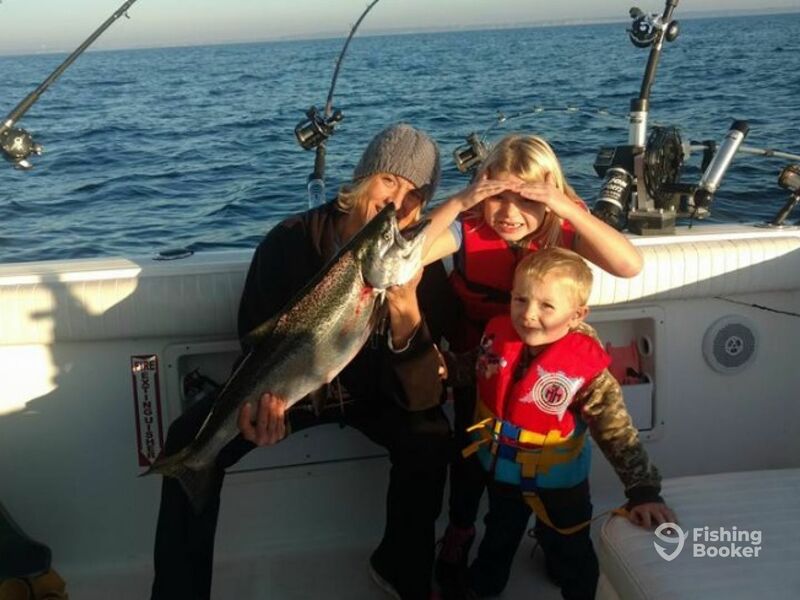 Lenny is especially great with kids, sharing his knowledge with them and helping them land their first fish. He was featured in the "Wilderness Journal Show" and has taken part in various tournaments. We booked with Captain Lenny based on research and reviews. He more than met our expectations. The weather was challenging both days. 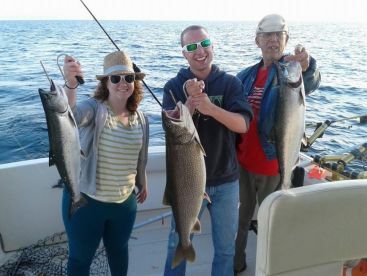 However, Captain Lenny put us on the fish when others were struggling. Nothing like having three fish on2 of which were trophies. 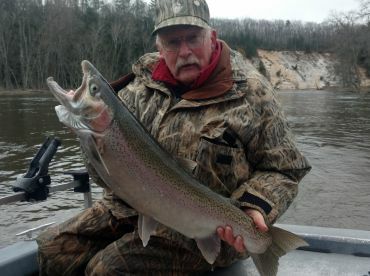 He gives his clients everything he has, and his knowledge of the lake and changing conditions is amazing. We were comfortable and had a memorable trip! We will book again! 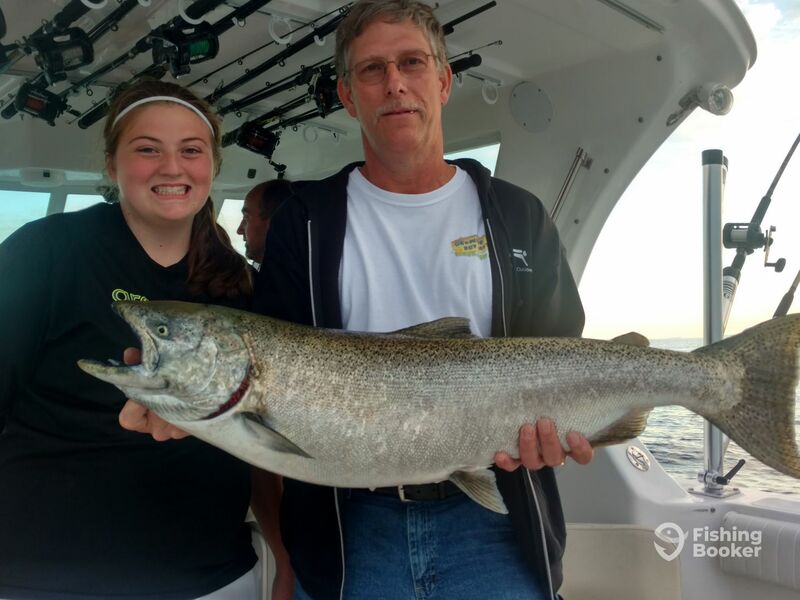 We had some inexperienced younger fisherman aboard and Captain Lenny worked hard to make their adventure both fun and rewarding! Lenny put the boat on a lot of fish when another captain we also used didn’t get a single hit all evening until the very last rays of light. You will not have a finer big lake fishing experience than you will with Slipknot and Captain Lenny at the helm! We were catching fish when the other boats were’nt. Captain Lenny earns his money, he worked his butte off to make sure we had a good time. He made us so at ease that it was just like going out with a friend. Will definatly be going out with SlipKnot again. 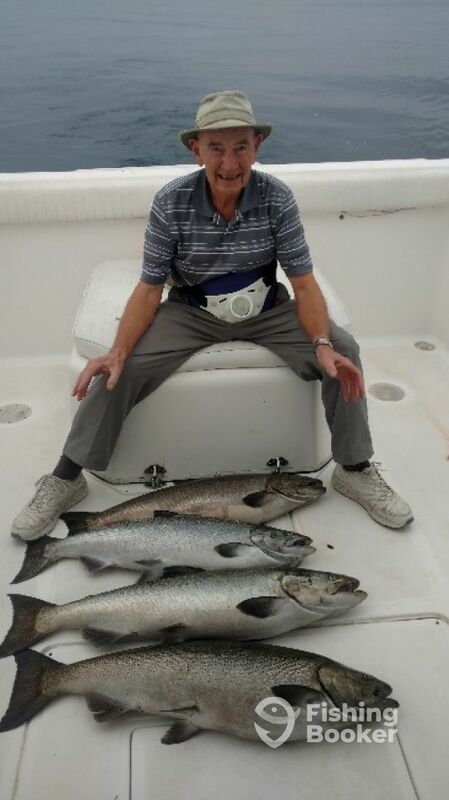 We had 3 kings in the boat by 8:00 AM and lost two due to fisherman error. Captain Vaughan worked hard to get us fish. I would use him again. 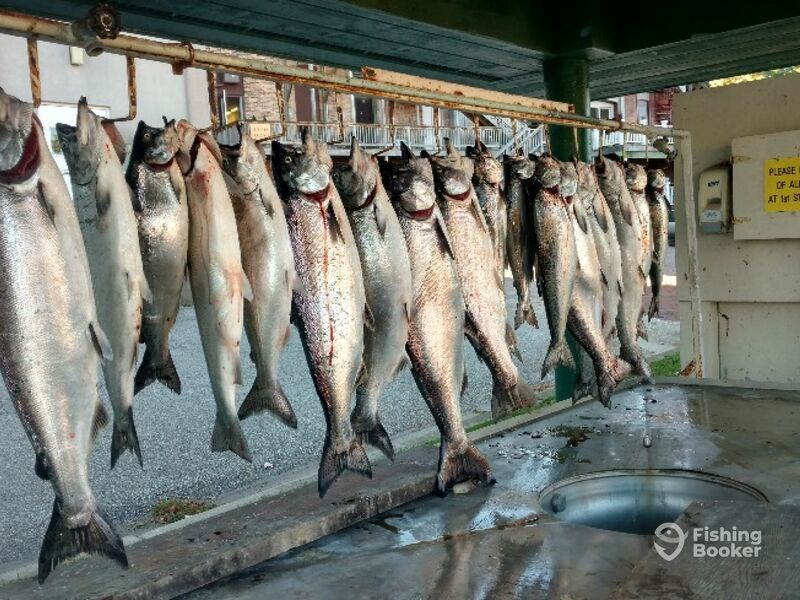 We had 3 kings in the boat by 8:00 AM and lost two due to fisherman error. Captain Vaughan worked hard to get us fish. I would use him again. Lenny is very professional and worked diligently to help us catch fish.